When you are in need of a new key, call our Whitby Locksmith company. Whether your original key is lost, broken, or stuck, a pro will be there to cut a new one for you. Rest assured that these are common problems and since they are related to your security, the tech will take the steps needed to resolve your concerns effectively. But let us assure you that our company will show the same professionalism when you need key duplication too. 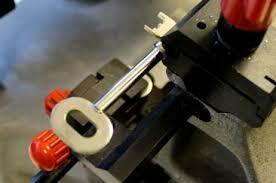 In each and every case, we send you an expert in key cutting Whitby services and as fast as possible. With the use of the best key cutting machines, the pros cover your needs in the most professional way. Regardless of whether you need to duplicate or replace a key, the job must be done with precision. When it comes to car keys, they must be made with absolute accuracy and programmed too. Rest assured that our company will dispatch an expert every time you need a new key. The pros are well-equipped and specialize in all types of keys. 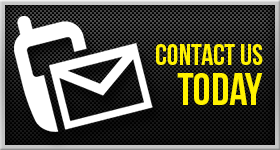 Do you need key duplicating in Whitby, Ontario? Call us if you need extra keys for your family or in the office. A well-equipped pro will arrive at the earliest of your convenience to cut the new key for you. Expect quick service every time you reach out to us. Since not all keys are the same, the pros come out fully prepared and thus ready to make new keys of all sorts. Have no doubt that our company will assist you urgently in the event of an emergency. Need key replacing now? Contact us. Whether the car key is lost, the office key is stuck in the lock, or the house key is broken, a tech will provide service shortly. Not only do techs cut new keys for you but take care of your trouble. If the key is broken or stuck in the lock, the pros retrieve it first. If the key is lost or stolen, the pro will rekey the lock and make a completely new key. We care about your security and safety and do our best to serve you well. Since keys play a huge role in your security, we cover your needs as fast and as effectively as possible. So do reach out to us next time you need key cutting in Whitby and expect prompt and high-quality service.